With Kevin now graduated from nursing school, this has been a big month for us and the entertainment industry and catching up. We have spent a majority of our May evenings tucking the kids in and then slumping onto the couch to watch our newest favorite thing. We haven’t had a life like this in a really long time. So here are my May reviews of movies and TV. Clueless (movie, 1995). My sister used to love this movie, but I don’t recall watching it until college (probably because I had a seething jealousy of Alicia Silverstone; another story, another time). At any rate, I had been wanting to see it again because of the whole modern Emma thing. (Clueless is a contemporary remake of Emma, by Jane Austen.) I thoroughly enjoyed the movie. Wasn’t the best movie I’d ever seen, but entertaining, nonetheless. Really predictable, but entertaining. Just a good solid rent. 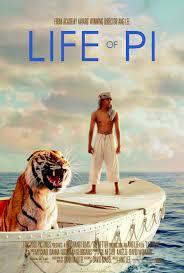 Life of Pi (movie, 2012). Another book into a movie, although this one a direct interpretation. I was looking for a movie that I thought Kevin wouldn’t mind me watching without him, but now I would like him to see it. It was a great movie. Slow at times, but visually stunning and the ending… well, it made me remember why the book is good. Of course, I can’t really buy into all the being-three-religions at once idea, but the sheer imagination is wonderful. 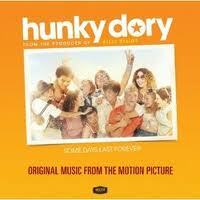 H unky Dory (movie, 2011). I wanted to like this movie, but it was mediocre. It’s like an awesome concept full of great actors and perfect music, but somehow the whole is not equal to the parts. Was surprised at the ending when I realized it was based on a true story. If you like Irish culture or Minnie Driver or 70s music, it would still be worth the watch. Like High School Musical or Glee without all the editing. And there are moments of brilliance, like when the music class covers ELO with a small orchestra and a band of water-filled jars. Now that I think about it, the soundtrack would be the best part. The Supersizers Go… (TV series, 2007-). I don’t know how Kevin found this series, but he sure hit the nail on the head for us two nerds. History plus food plus humor equals awesome. This is a British reality series where a food critic and a chef live a week at at time as close to a previous time period as possible (as in eat the food, wear the clothes, adopt the habits). So far, we have watched episodes covering WWII, the 70s, and the 1660s. It is so great. Intriguing. And at times, laugh out loud. The Secret of Moonacre (movie, 2008). This was a family night pick. It was only okay. Honestly, my favorite part was the clothes. Percy Jackson & the Lightning Thief (movie, 2010). Another family night pick and another movie based on a book. I have not read any of the books. And another only okay movie. The best part was figuring out which Greek legend everything was based on. Like Percy=Perseus. Aha! Unfortunately, myths were thrown together whatever which way. I’m guessing the star-studded cast was hoping for another Harry Potter. Hmm. The Office (TV series, 2005-2013). If you missed this band-wagon, the ride is now over. Although you could always start over in syndication. Honestly, I never thought the show recovered from the loss of Michael (Steve Carell), but then the wrap-up was sort of brilliant. Whereas the British The Office ended abruptly and they had to tie up loose ends in a Christmas special, this finale (happening over three extended episodes) was a well-oiled machine. There were many times in the series where I felt my allegiance waning because of the at-times too despicable and bone-headed characters (see “Scott’s Tots”), but in the end you feel like the film crew… you want to see what happens to these people. 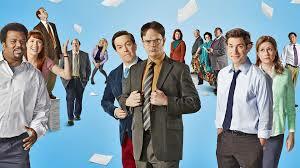 All in all, The Office delivers on what it always delivered on: familiarity, laughs, and a little tenderness. Nice post. I am anxious to try the Supersizers… Sounds fun, and I miss the Office because I can’t get into it since Michael left. 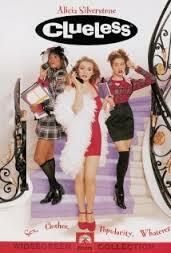 Clueless also happens to be a favorite of mine and I drag it out periodically, like While You Were Sleeping. 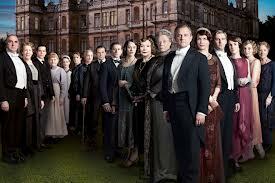 I have heard so much about Downton Abbey, but have never gotten to see it–always a conflict. Now everyone I know is raving about Call the Midwife and The Bletchley Circle, which sounds fascinating to me. Thank goodness for PBS. My cable company has cut my channel lineup once again—no more HGTV (I’m an addict), so I need something new to watch. I am interested in your take on Life of Pi because it just didn’t seem like the movie for me, but maybe I could give it a chance—or not.